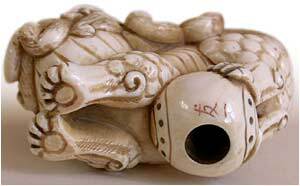 Superb artistry is the best affirmative for a timeless collector's netsuke. 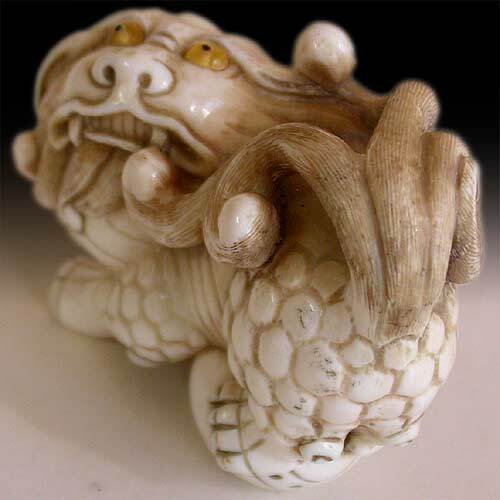 Aside from the well placed Tomoichi signature, one can observe this spirited shishi, lively crouching forward with ball under grip; its powerful head turned and looking-up with a snarl, five pointed bushy tails raged up and thrown across its back are finely engraved with parallel hairlines. 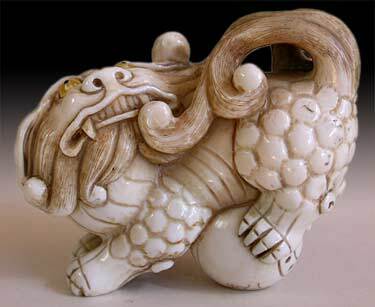 its thick paws are carved in defined claws that seem to dig the surface on which it stands. 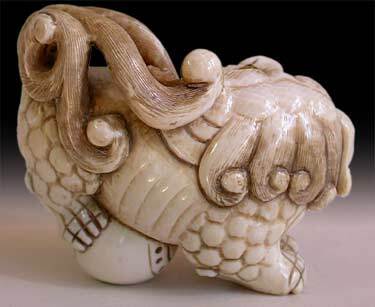 The animal's fur is represented in a low relief of small balls known as ukibori. 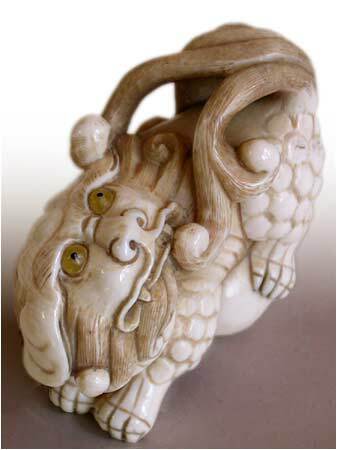 Its eyes are double inlaid of amber-colored tortoise shell and umimatsu for the dark pupils. Plus, a well placed large himotoshi to hide the knot, and the crisp finishing in soft plains of rounded edges to indicate an indisputable masterpiece from the hands of Tadami Uno; who uses names as Yukimasa, Masatomo and Tomoichi.